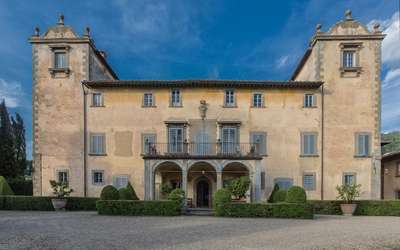 Reggello is in the province Firenze, situated only few kilometers from Florence, this area is now more known by the outlet with Gucci, Armani, Tod's and others. But this is area is rich in history and culture. 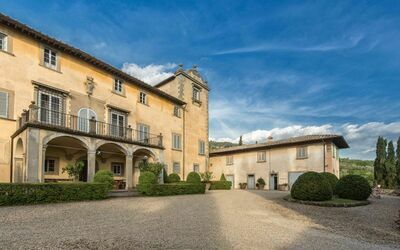 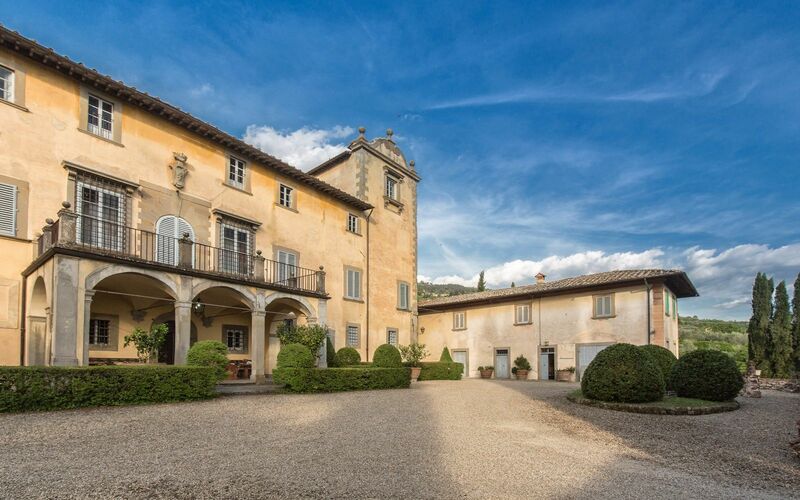 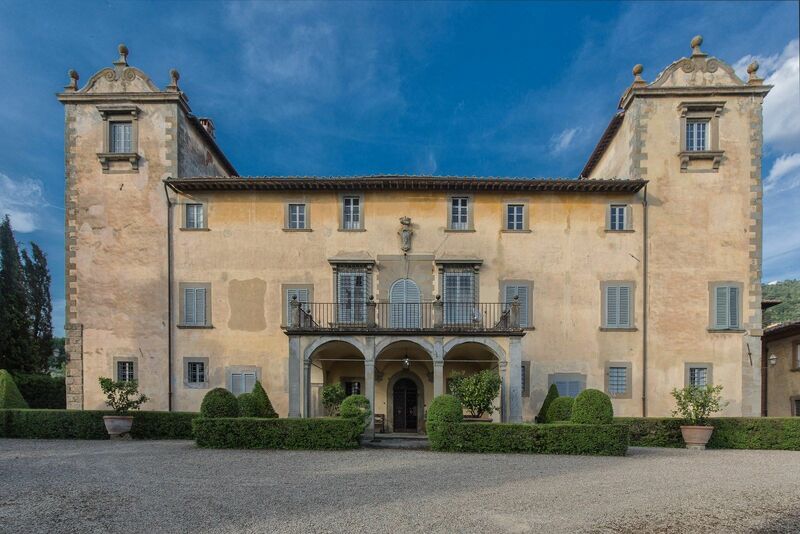 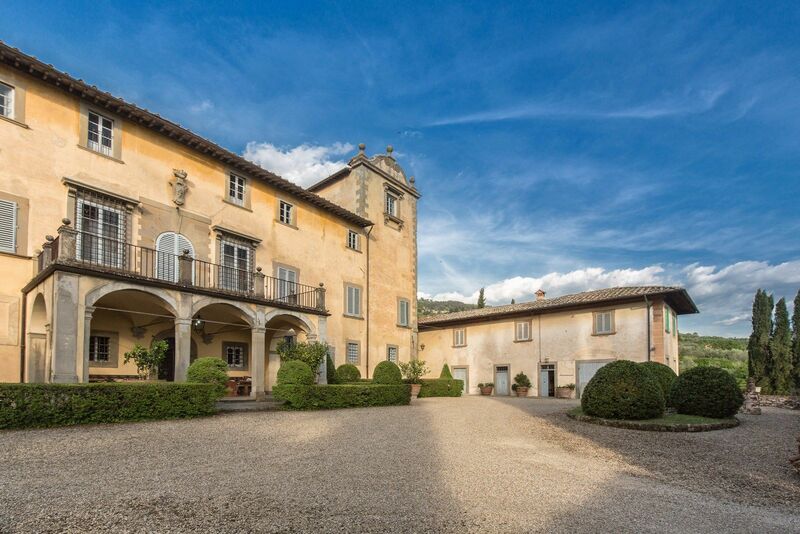 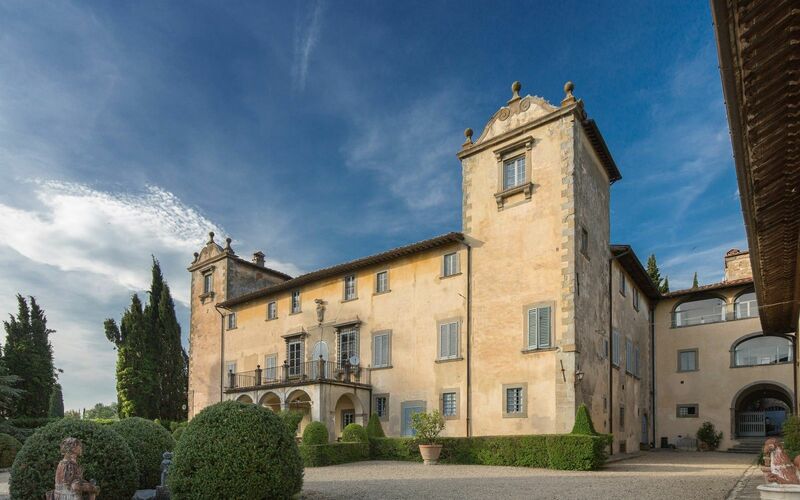 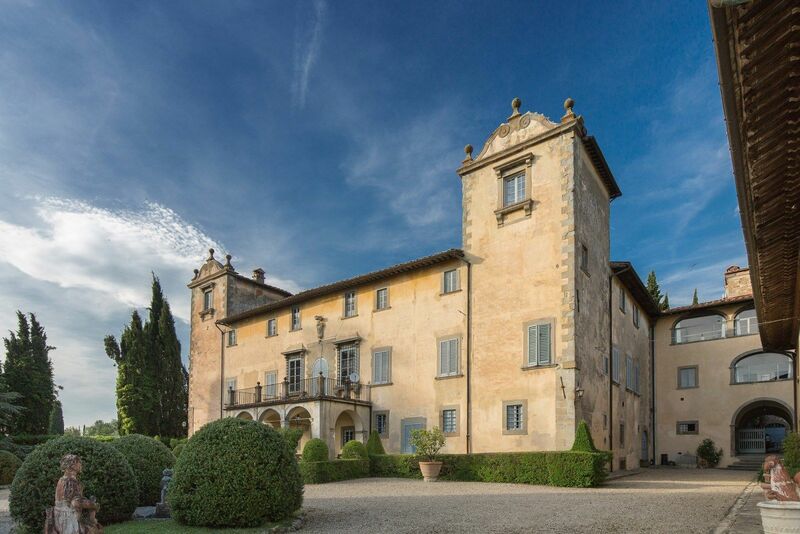 Surrounded by a reality of castle (built in the 15th century and used as a hunting lodge), which is modestly called Villa and several other buildings, which were added in the 17th century and were built partly at the Villa, but also next door. 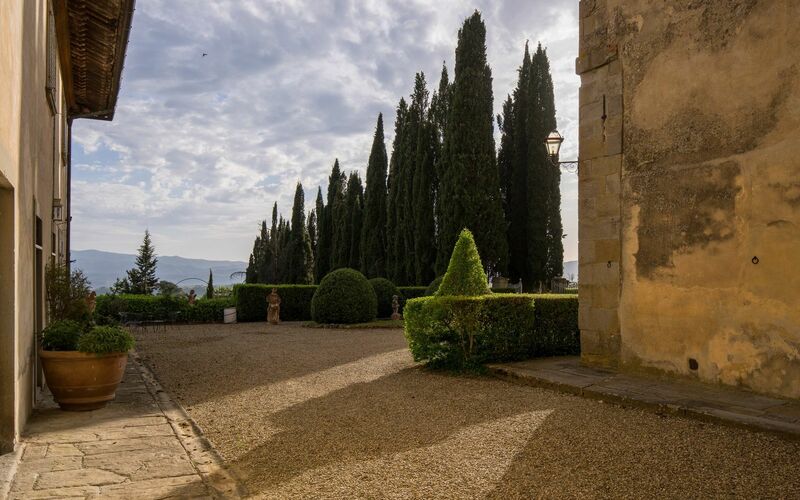 All this on a few hectares of land amidst olive groves and vineyards. 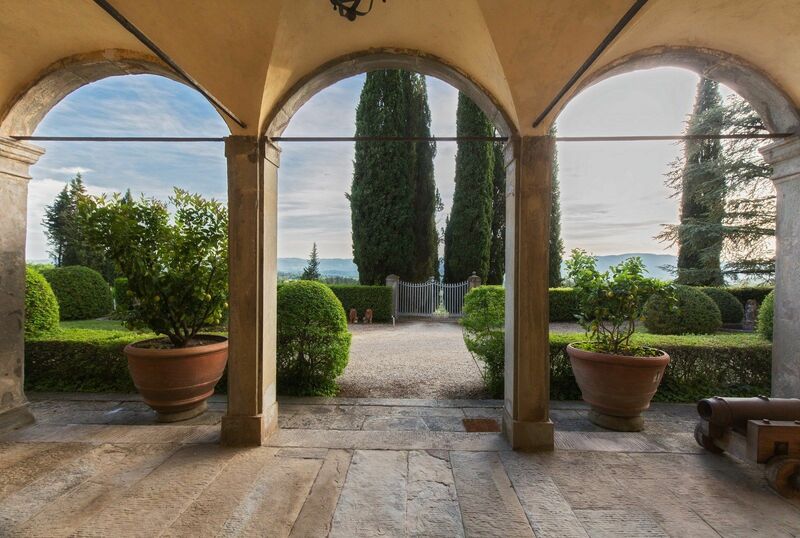 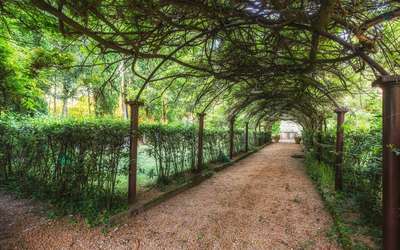 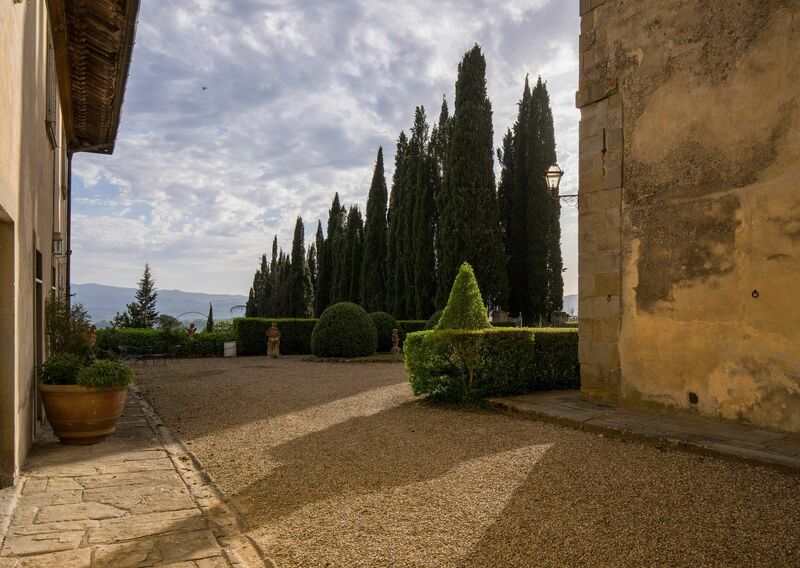 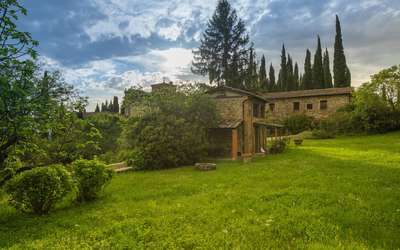 The street side is one of the oldest and most important in Tuscany, called "Seven Bridges" and comes probably from the Etruscans, who made a connection and communication between Fiesole and Arezzo. 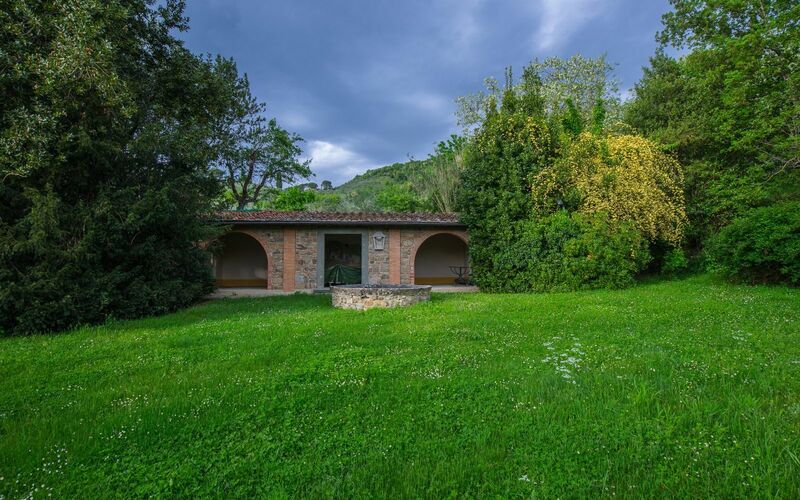 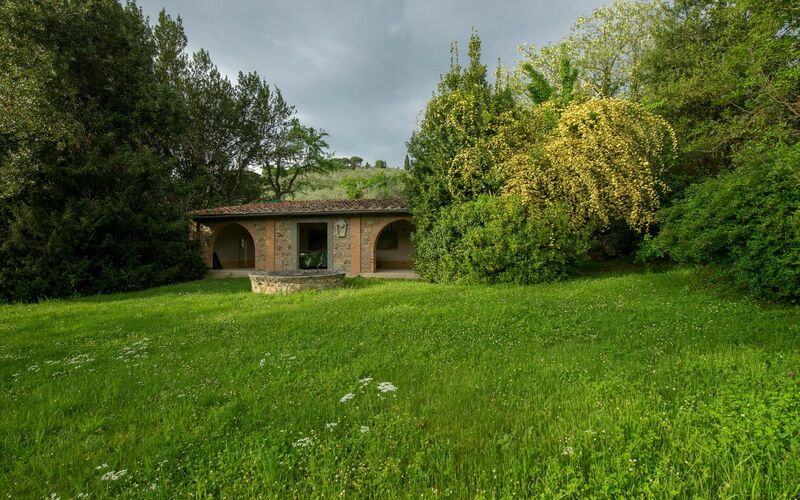 Only about 2km from the village, Villa with hamlet, a total of 15 residential units are for rent, the owners family lives in the villa, for all flats available: pool, hot tub and sauna, parking, gym and barbecue. 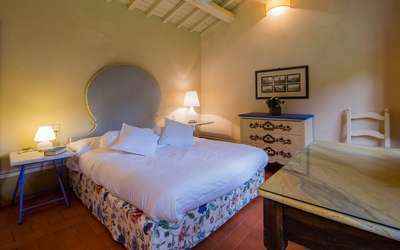 For an extra charge you can use washing machine in the laundry room and book the old oil mill breakfast. 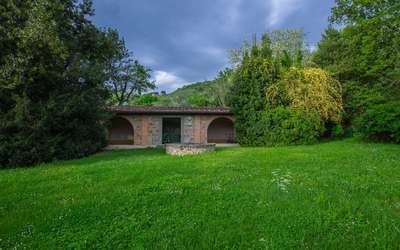 The Rustico Sunflower is located in the park, opposite to the open gym. 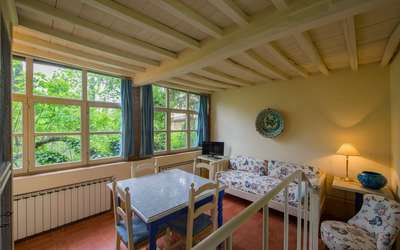 Covered main entrance - the bright living room (window front) dining table and sofa bed, armchair and TV. 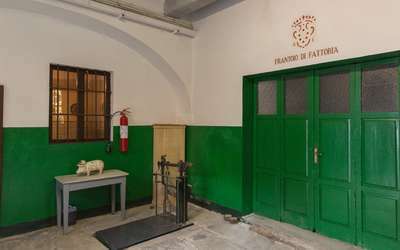 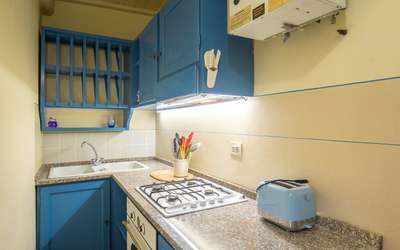 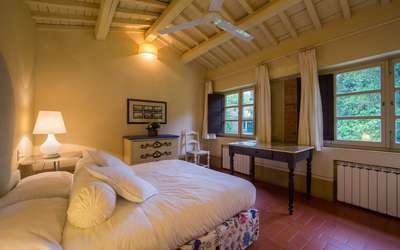 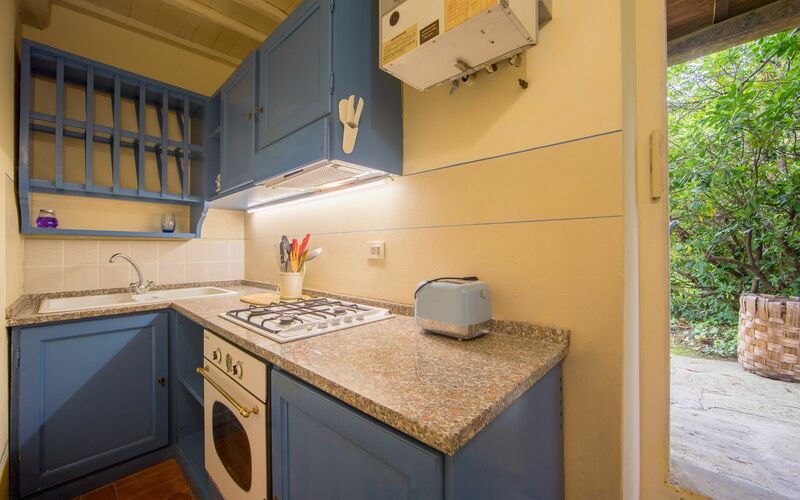 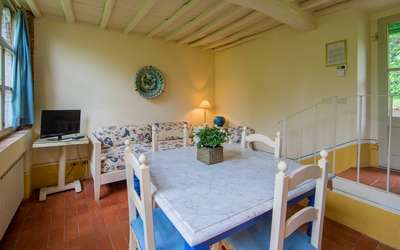 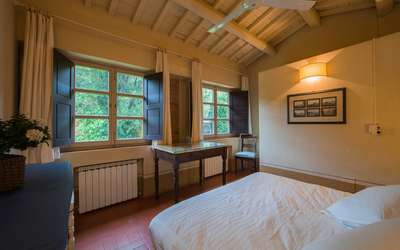 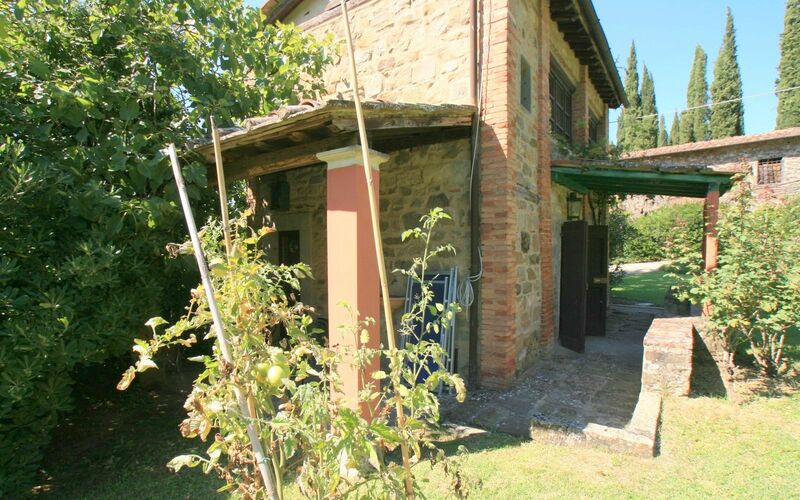 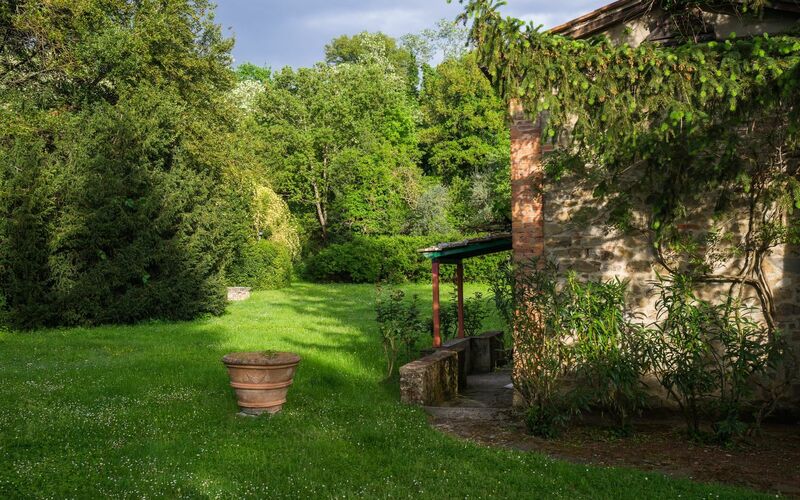 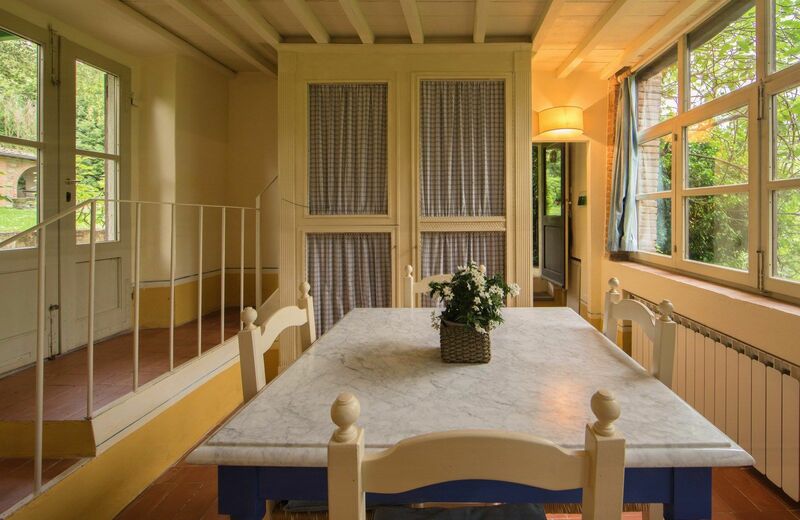 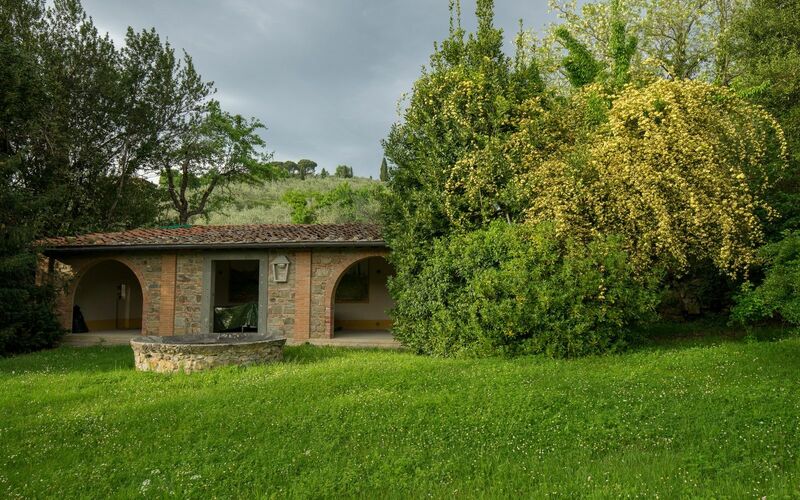 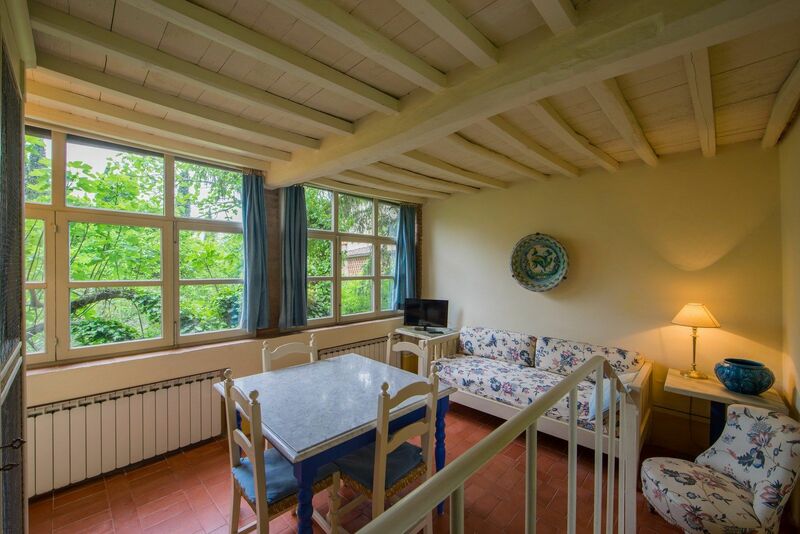 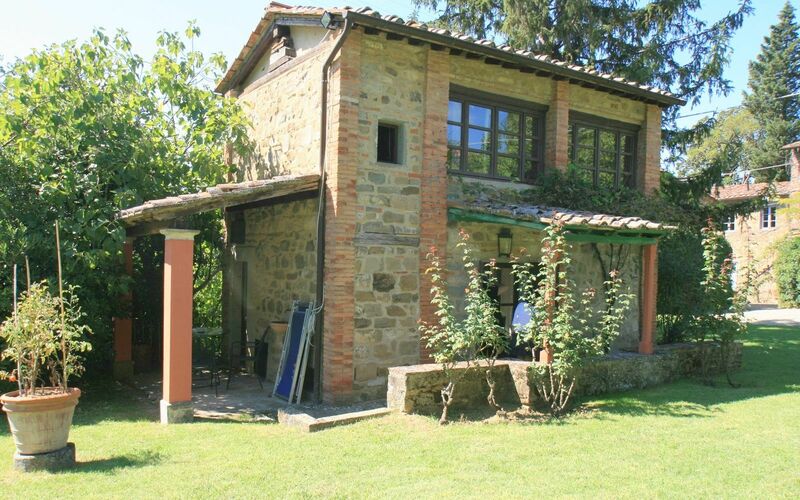 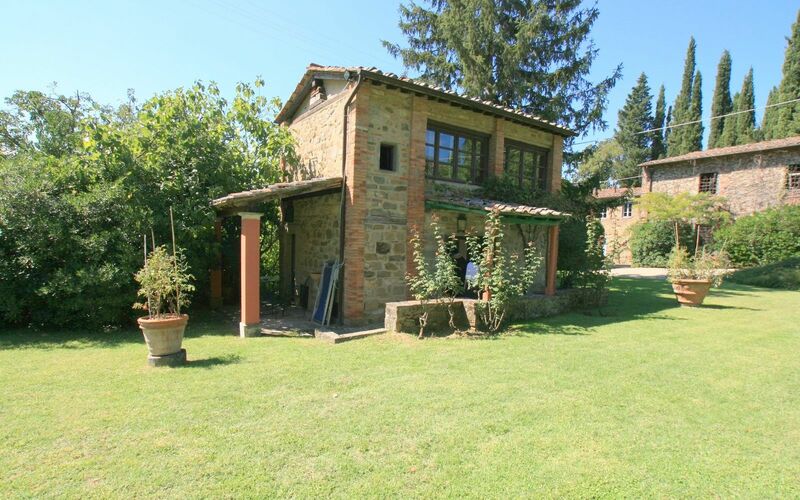 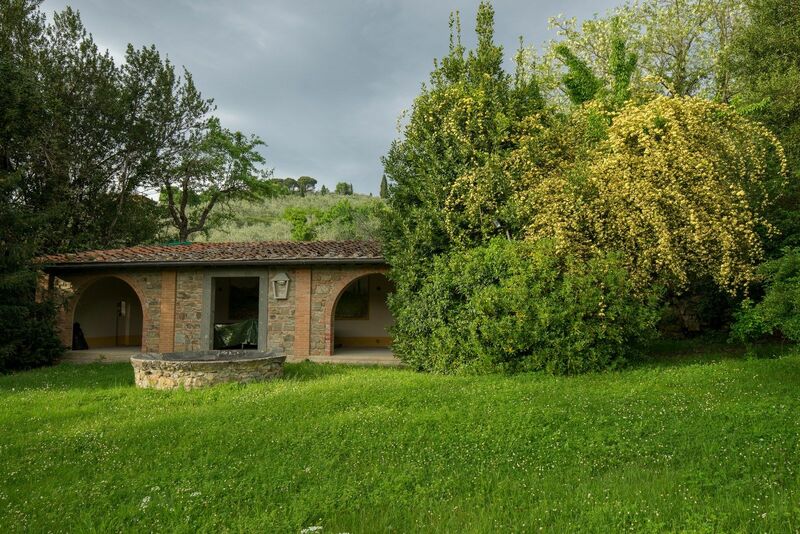 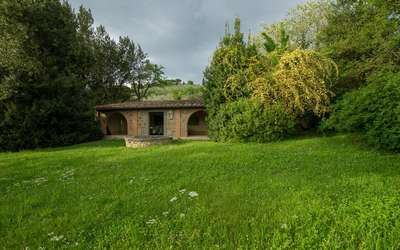 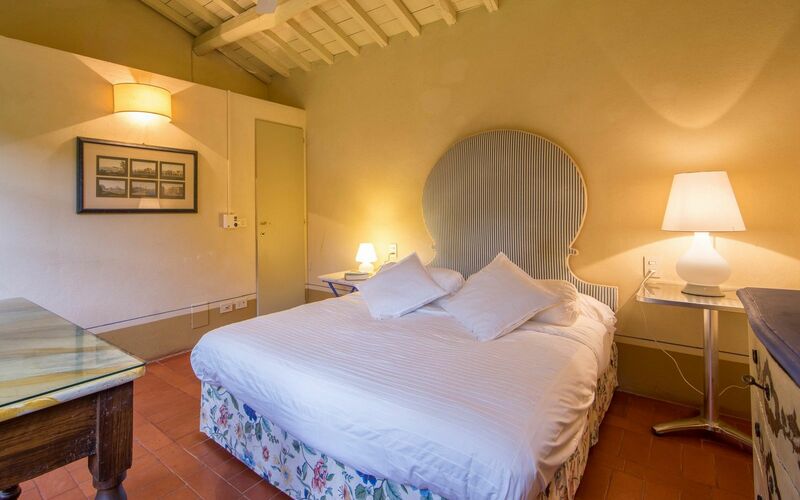 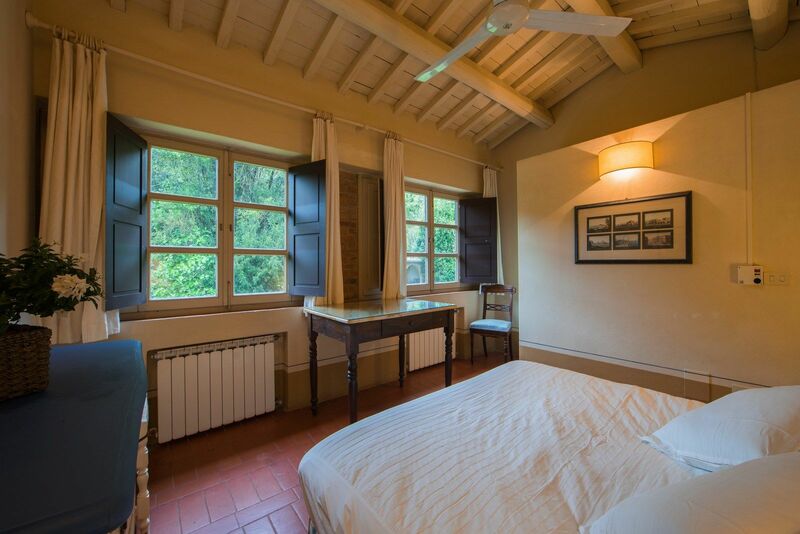 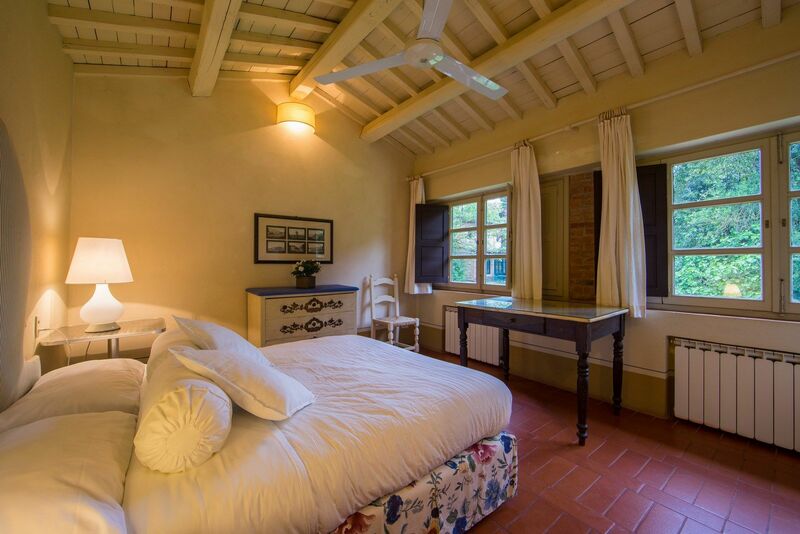 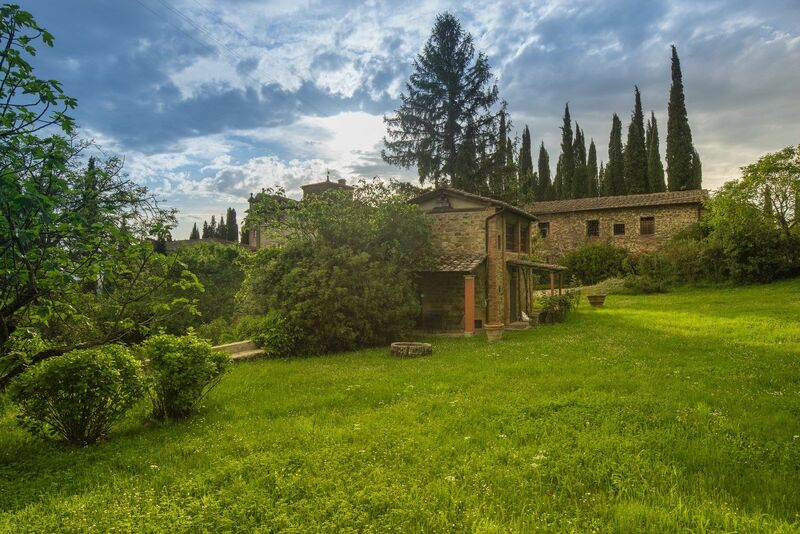 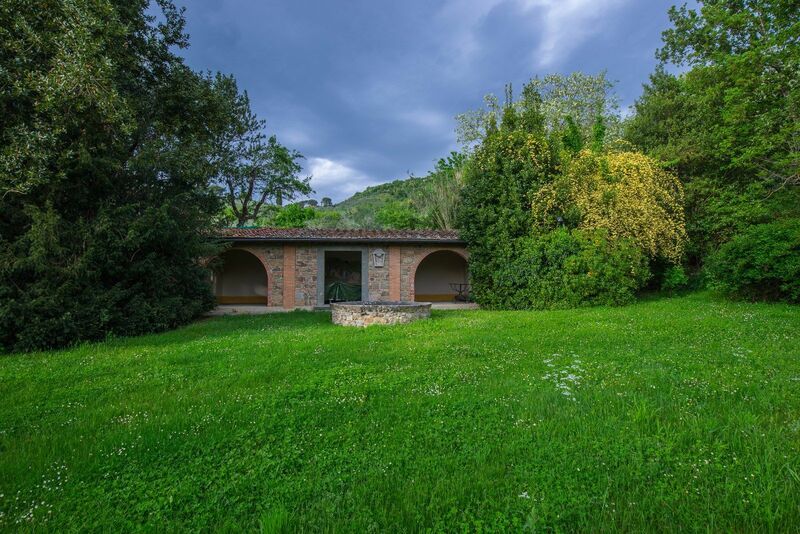 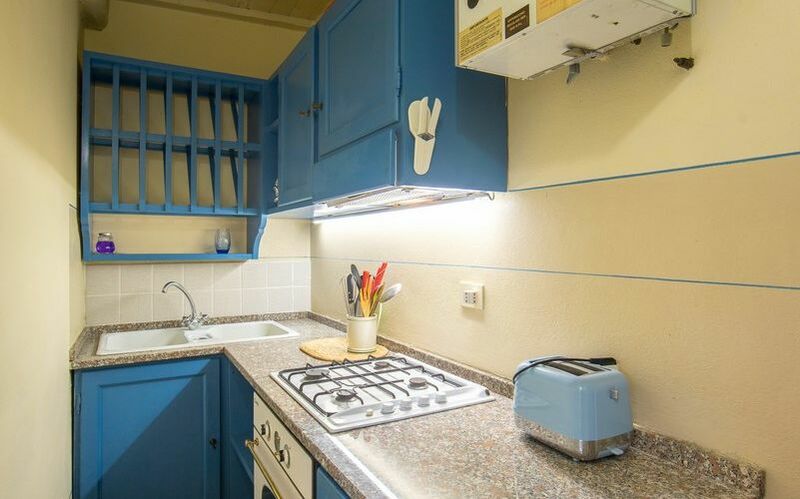 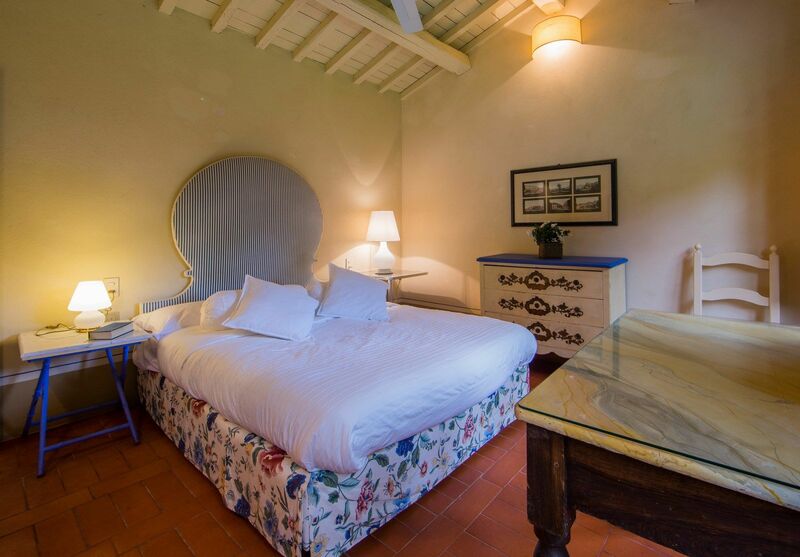 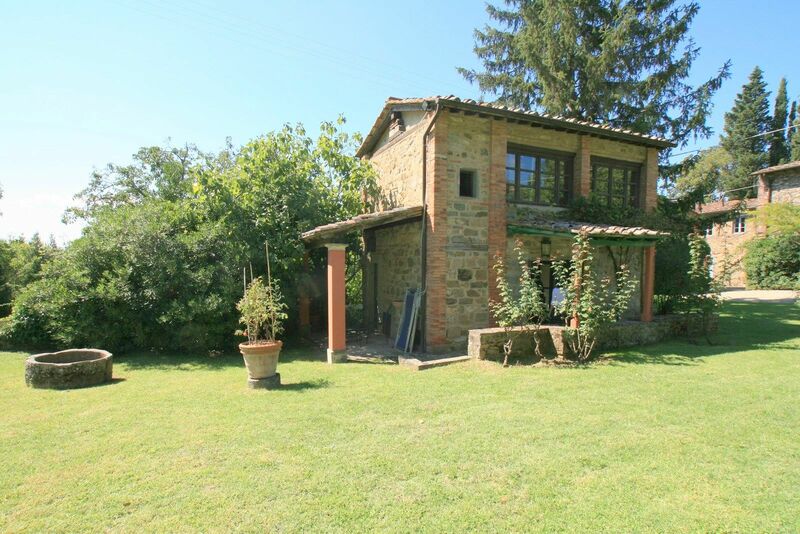 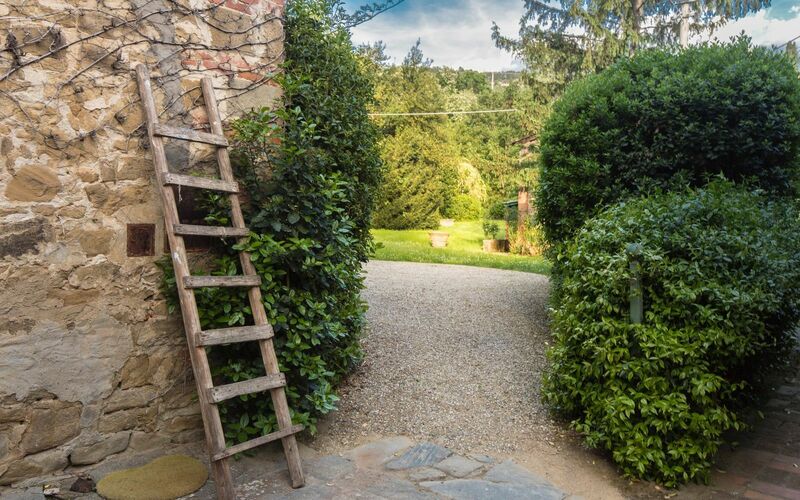 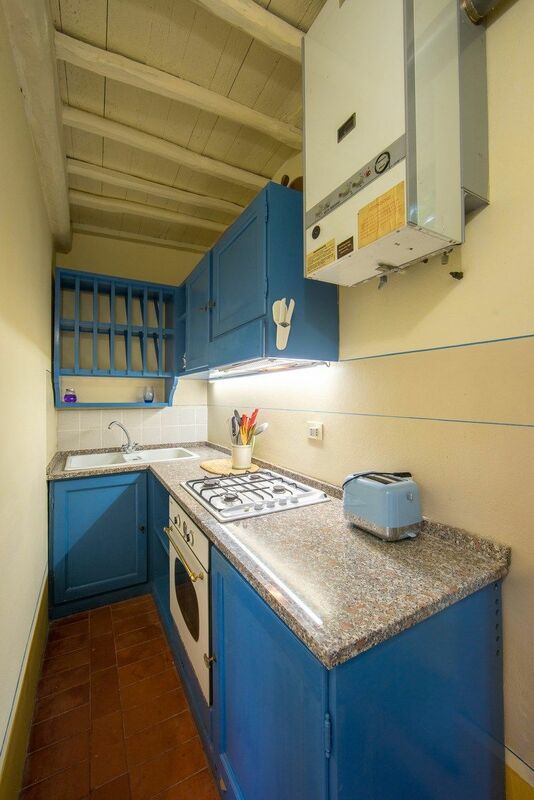 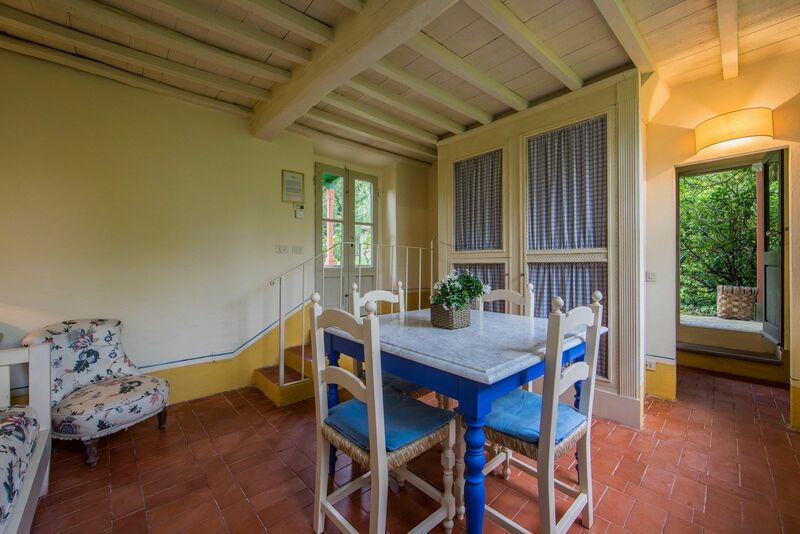 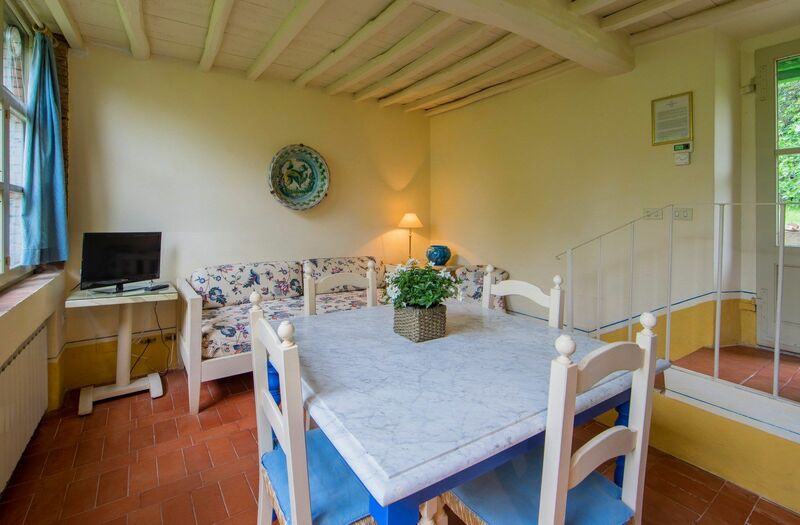 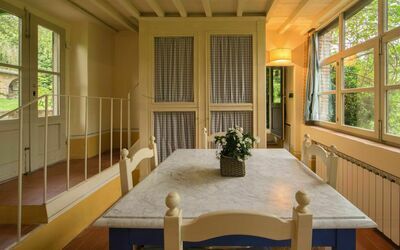 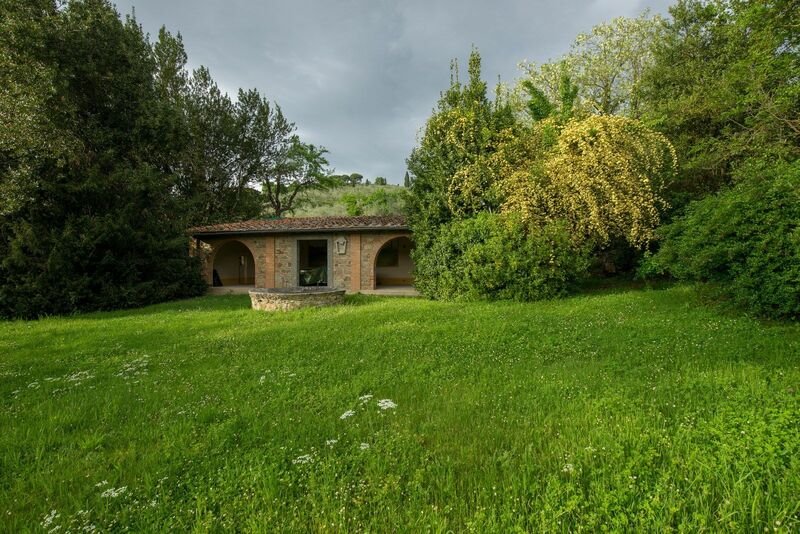 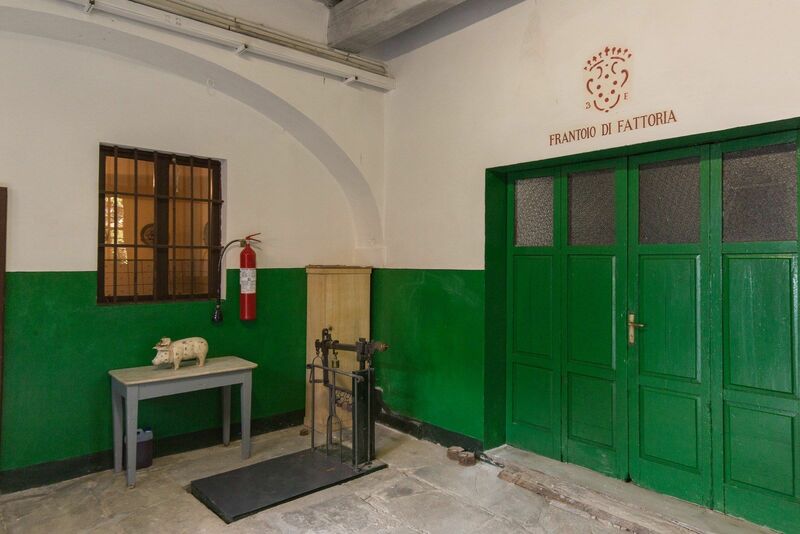 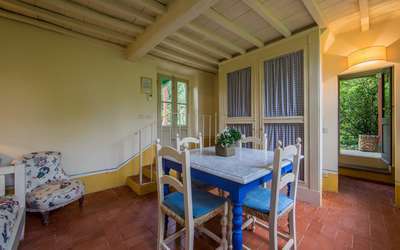 Behind a small kitchen with 4 burner stove, electric oven, fridge, toaster u. Kettle -with exit to the covered loggia. 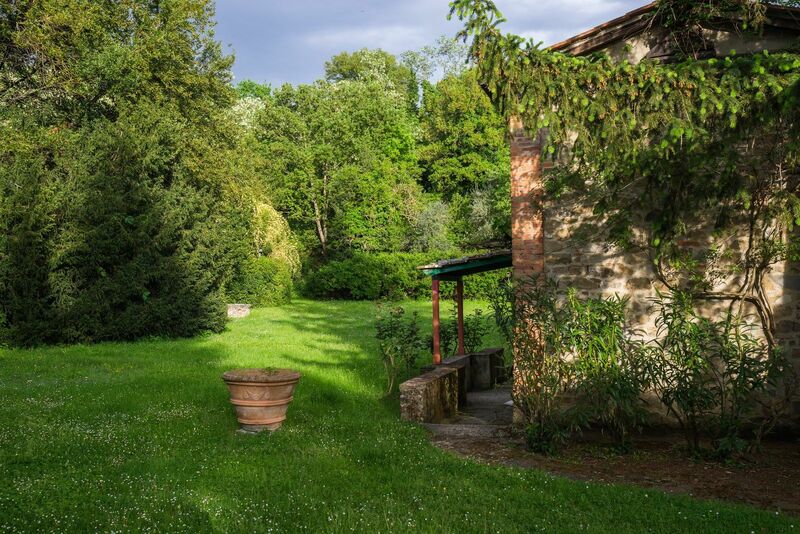 In summer you can nicely sit outside or sunbathe on the lawn. 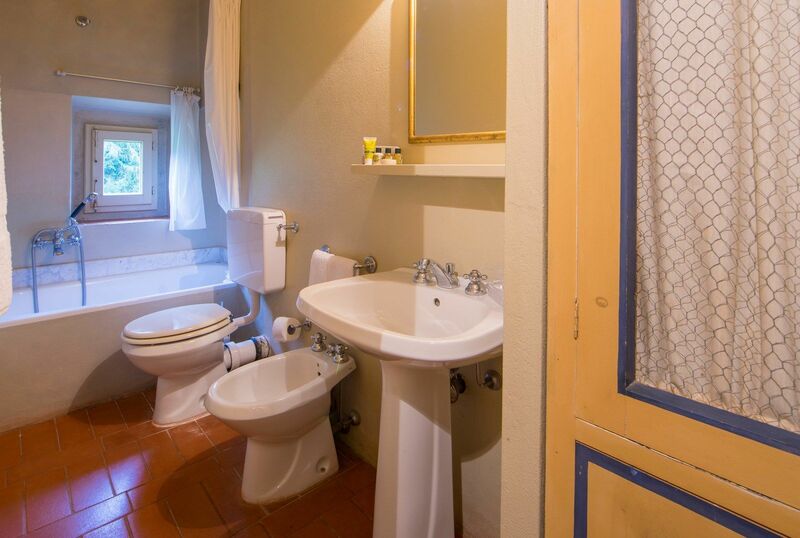 On the first floor a bathroom with bath and a bedroom with a double bed.